Our mail order engines are supplied as exchange units. 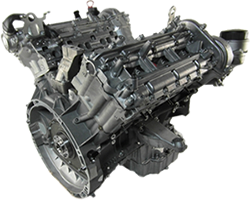 We arrange collection of your damaged engine, we then remanufacture the engine and return it to you via courier. This mail order service usually takes 48 hours from your phone call to delivery of your engine. 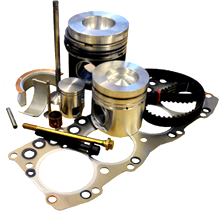 We offer an extensive range of complete engines and engine components from stock, most of which are manufactured by or for us. Next time you visit your local garage, you'll probably see our distinctive parts boxes with the trusted "M & R Parts" logo on their shelves. Any components not manufactured at our own facilities are made to our exacting standards by companies accredited with ISO 9001:9002 standards. By selling direct to the end user we're able to offer a first class product at very affordable prices and there's no waiting around, we hold massive stocks of just about any conceivable engine part. We offer next day delivery of all stocked items and a unique collect, rebuild & return service usually within 72 hours. We also hold vast stocks of engines, cylinder heads and components ready for next day delivery. All engines and components are covered by our comprehensive guarantee and are suitably packaged to prevent damage in transit. Our express couriers can arrange collection and delivery of your engine or engine parts anywhere in Europe. 8.00am - 6.00pm Monday - Friday.